Would you like to explore the great outdoors? 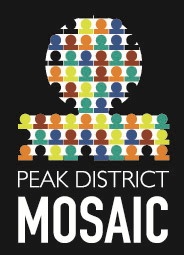 The South West Peak Landscape Partnership and Peak District Mosaic (PDM) are working to encourage and enable people from the Stoke area, to come out and experience the unique culture and beautiful natural world that sits on their doorstep. Meet with others and representatives of PDM to find out more about the South West Peak Wise People Programme. This free Programme trains and supports you to become Community Champions who will open up opportunities for visits to the South West Peak – contributing towards the improvement of health and well-being. This meeting will give you more information on how this Programme can benefit you, your families and communities.